At Fulbright Cosmetic & Reconstructive Dentistry, we are proud to offer advanced cosmetic dentistry solutions to help improve the appearance of your smile. Lead by our cosmetic dentist, Michael Fulbright, D.D.S., and his experienced dental team, we prioritize the safety of our patients and the satisfaction with their treatments above all else. With state-of-the-art procedures and the skills of our cosmetic dentist, we can correct a number of common aesthetic dental concerns and help you enhance your smile with beautiful results. Below, you will find more information about the many cosmetic dentistry treatments we offer. If you have questions, or if you would like to schedule a consultation at Fulbright Cosmetic & Reconstructive Dentistry, please contact us today. Stained or discolored teeth can be caused by a number of factors, including the use of tobacco products, consumption of wine or coffee, and the natural aging process. Teeth whitening options at our practice can enhance the appearance of your smile and lighten the color of your teeth. At Fulbright Cosmetic & Reconstructive Dentistry, we offer Zoom!® in-office whitening treatments, KöR® Whitening Deep Bleaching™ System, and the take-home Day White® system to keep your teeth sparkling clean. Porcelain veneers are a popular cosmetic dentistry option that can dramatically improve the look of your smile. If you are looking to conceal chips, stains, or cracks in the teeth, porcelain veneers can often serve as an effective treatment. They can also be a good option for the correction of gaps, spaces, and other mild to moderate teeth misalignment issues. These thin shells can be matched to your existing tooth color and shaped to blend in seamlessly. Veneers are placed over each individual tooth and are made of a durable ceramic, creating a strong, natural-looking appearance. Porcelain dental veneers can help you smile with confidence, and they do not typically require a lengthy treatment process. 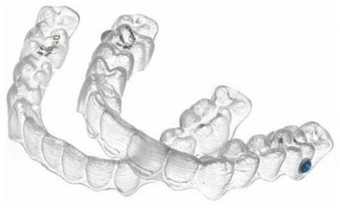 Invisalign® clear teeth aligners can effectively straighten your teeth in a more discreet way than traditional braces. Custom-designed for your teeth, these removable aligners offer a more comfortable solution to achieve a beautiful smile. Six Month Smiles® is an innovative orthodontic alternative to traditional metal braces. This technique can straighten your teeth to a more desirable position in as little as six months without the discomfort often associated with traditional braces. 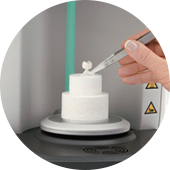 Our state-of-the-art CEREC® 3D system can provide you with custom-made porcelain crowns the same day, right here in our office. This innovative technology creates porcelain crowns based on precise specifications, and molds them during your appointment. You will not have to wait weeks for the final fitting and you won’t need to be referred to another practice. We use Tooth-colored Dental Bonding to quickly improve the appearance of teeth with minor imperfections such as cracks, chips, stains, and slight misalignments. Dental bonding is a popular cosmetic dentistry procedure at our office because treatment can be completed in only one visit with amazing results. 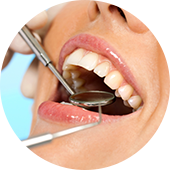 We begin the dental bonding procedure by etching the surface of the tooth. This etched surface helps the bonding material adhere strongly to the tooth. Then, the composite (plastic) resin is placed on the tooth, contoured, and hardened with a special curing light. The material is then smoothed and polished to create a natural-looking sheen. Our patients sometimes choose bonding as an alternative to porcelain veneers, or to cover deep stains that cannot be removed through teeth whitening. To learn more about dental bonding, contact our cosmetic dentistry practice to schedule a consultation today. When a tooth is weakened due to decay or other damage but does not need a full dental crown, we use inlays and onlays. They add more strength to a tooth than is possible with fillings, but do not cover the entire tooth as crowns do. Inlays fix damage that is within the cusps (points) of a tooth, while onlays fix damage that covers one or more cusps. Inlays and onlays are made from porcelain so they look extremely natural. 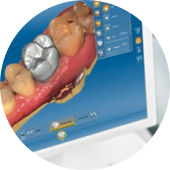 We first prepare your tooth by removing decayed or damaged tooth structure, and then use the CEREC® 3D machine to take a digital impression of the area so your inlay or onlay can be custom made. Inlays and onlays are custom-crafted using the CEREC® machine so that they perfectly fit your prepared tooth. They are then bonded in place for an extremely tight fit, providing the strength the tooth needs. The entire process takes a single office visit. In addition to restoring function to a damaged tooth, inlays and onlays are also a good cosmetic dentistry option and can be used to replace old metal fillings for a completely natural-looking smile. We offer a full range of customized smile design options to rejuvenate your smile. Through a combination of advanced treatments and a comprehensive evaluation of your teeth, gums, and facial structure, we can design the best possible smile to suit your specific needs. Take a look through our smile gallery to see what we can do for your smile. To provide the most comprehensive and accurate Smile Design treatments possible, Dr. Michael Fulbright offers the advanced Digital Smile Design (DSD) protocol here at our practice. 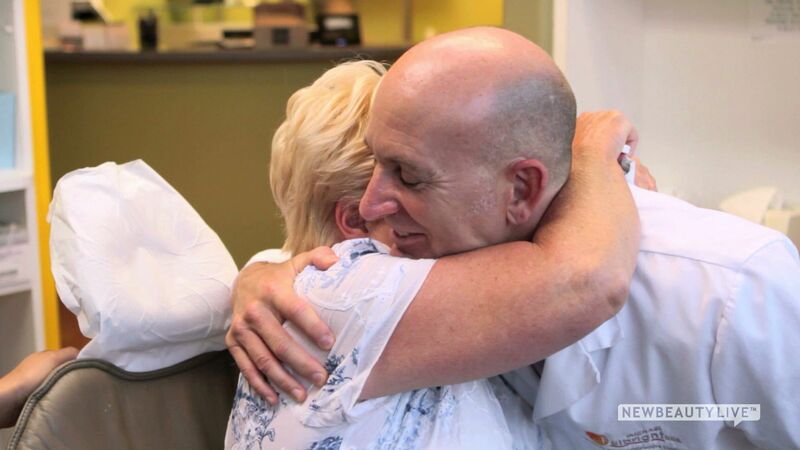 This state-of-the-art process allows you to become a true partner in your dental treatment. 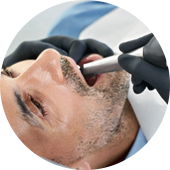 DSD combines high-definition imagery and other innovative techniques to precisely examine the relationship between your oral structures, dental and facial proportions, and overall facial features to ensure the results of your treatment are the best they can possibly be. It also enhances communication between you and our dental team, giving you the opportunity to tell us exactly what you like and don’t like about potential outcomes so that the results truly meet your expectations. At Fulbright Cosmetic & Reconstructive Dentistry, we offer cosmetic gum reshaping options to treat a “gummy smile.” Excess gum tissue can make the teeth appear too short, and can make you feel self-conscious each time you open your mouth to smile. Dr. Fulbright can perform cosmetic gum reshaping treatment to remove the excess tissue and enhance the symmetry between the teeth and gums. Best of all, the procedure is virtually painless. Our skilled and experienced cosmetic dentists can help anyone improve their confidence through smile enhancement. Contact the practice of Michael Fulbright, D.D.S., to schedule a cosmetic dentistry consultation. Whether you live in Redondo Beach or another community in the area, we can help you attain the smile you have always wanted.